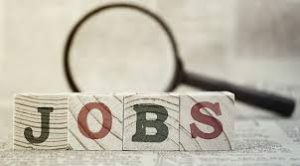 The Assam Power Distribution Company Limited, Assam Electricity Grid Corporation Limited and also Assam Power Generation Corporation Limited has issued a new recruitment notification to fill up 274 Assistant Manager, Junior Manager Vacancies. On this page, we are sharing some useful information related to APDCL Recruitment 2017 Notification. So, all the candidates who have interested government jobs in Assam State utilize this chance and apply for APDCL Recruitment 2017. Candidates who are applying for APDCL Recruitment 2017 that education qualification is Degree in Civil Engineering / Electrical Engineering / Mechanical Engineering/ Information Technology/ Computer Science & Engineering/ Computer Engineering/ Computer Science/ Instrumentation Engineering from University/ Computer Technology/ Institution approved by AICTE. Interested and willing candidates can apply for APDCL Jobs on or before 20th October 2017. If you are interested in Assistant Manager, Junior Manager Jobs must read the given information. Most of the candidates are seeking latest government jobs in Assam. This is a great opportunity for those candidates. So, utilize this chance and submit the application form. In the below section applicants can find more details regarding APDCL Recruitment 2017 Notification. For more details about the AEGCL Recruitment 2017 such as Education Qualification, Age Limit, Application Fee, Selection Process, Salary Details are shared on this page. Interested candidates can apply for Assam Government Jobs. As per the official news the contenders who had applied for APDCL Recruitment 2017 they have to face all the recruitment rounds conducted by officials. The candidates must face written exam and personal interview. The aspirants who are interested in this posts those candidates can early apply as possible as possible because the last date for APDCL Recruitment 2017 Notification is 20th October 2017. Before filling the application form candidates have to check all the APDCL Recruitment 2017 Details. The applied contender’s minimum age limit is 18 years and the maximum age limit is 21 years. The Upper Age Relaxation is as per officials rules and regulations. The organization is going to fill up 274 Assistant Manager, Junior Manager Vacancies. In this section, all the details regarding Assam Power Distribution Company Limited, Assam Electricity Grid Corporation Limited and also Assam Power Generation Corporation Limited Recruitment 2017 is given. Aspirants who are trying to get a job in government sector they have to grab this chance and work hard. Candidates who perform well in the written exam, those candidates must go to the personal interview. Visit our website and check more Assam PSC Job Notifications. Perform well and crack a job in Assam State Power Transmission Companies. Comming to the application fee the General/ MOBC/ OBC/ PH candidates have to pay Rs. 500/-. And the SC/ ST category candidates have to pay Rs. 250/-. The selected candidates will receive good salary package offered by Assam Power Distribution Company Limited (APDCL). After completion of the application process immediately start your preparation because the competition level is very high for Assistant Manager, Junior Manager Jobs. The candidates who belong to Assam State grab this chance and get a job in Assam Power Distribution Company Limited (APDCL). Aspirants who want to set their career in Assam Power Distribution Company Limited (APDCL) must check this article completely and apply for APDCL Recruitment 2017 Notification. The Post Wise and Category Wise Vacancy details are clearly mentioned in the below section. We request all the job seekers who are interested in Assistant Manager, Junior Manager Vacancies must check the Eligibility Criteria, Age Limit and Age Relaxation, Application Fee, Salary Details. Also, we clearly mentioned step by step procedure to apply for APDCL Jobs 2017. Go through the below section and check the details clearly. Hope provided details are important for all candidates who are going to applying for Assam State Power Transmission Companies Jobs. FOr more details refer the official website. & Engineering/ Electrical/ Mechanical/ Civil/ Computer Science Engineering from University/ Information Technology/ Computer Engineering/ Computer Technology/ Institution approved by AICTE OR Full-Time MBA or Equivalent in Human Resource Management/ Personnel Management from Institution/ University approved by AICTE. For Junior Manager: Candidates who are applying for Junior Manager Posts they must possess their Diploma in Electrical/ Civil/ Instrumentation Engineering/ Mechanical from any recognized university or Institution. For Assistant Managers: The Minimum Age Limit is 21 Years and the Maximum Age Limit is 38 years. For Junior Managers: The applied candidates minimum and maximum age limit is 18 to 38 years. Refer the official notification for more details about Age Relaxation. The selection process will be done based on candidates performace in written exam and personal interview. Assistant Manager: Rs. 22,552/- to Rs. 23,213/-. Junior Manager: Rs. 16,056/- to Rs. 16,526/-. The General/ OBC/ PH/ MOBC have to pay Rs. 500/-. The SC/ ST Category Candidates have to Pay Rs. 250/-. Visit the official website of Assam State Power Transmission Companies (Assam Power Distribution Company Limited, Assam Electricity Grid Corporation Limited and also Assam Power Generation Corporation Limited) at www.apdcl.org, www.aegcl.org, www.apgcl.org. Select the link of APDCL Recruitment 2017 Notification and click on it. Read the notification clearly and fill up all the details in the application form. And Finally, take a print out for further usage. The Last Date to Submit the Application Form: 20th October 2017.